Review: Gavin Webster: Bill Hicks Wasn’t Very Good – The Stand (2), Edinburgh. 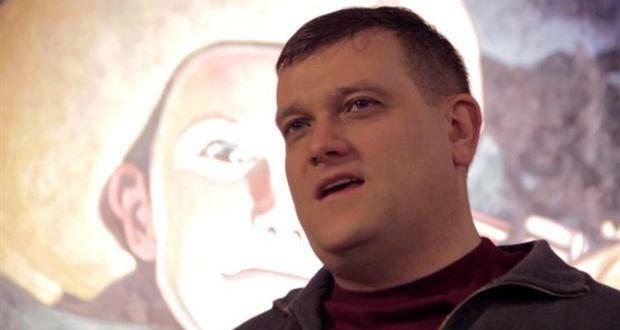 Perhaps there’s something in the Edinburgh water supply that stokes the ire of Geordie comic Gavin Webster. He tells us up front that he’s bitter and happy to admit it. And why not? The world’s full of grumbling twisters, hypocrites and know-nothing, fresh-faced comedians bouncing around on the wrong side of Waverley. It’s enough to make a fifty-nine year-old comedian with four decades of Fringe shows behind him sick. It’s also Webster’s way in to a fast and funny take on changing trends in comedy and how each new wave creates its own detractors and counter-comedy. Then we’re off into a condensed biography of Bill Hicks that affords Webster plenty of opportunities to set up comparisons with his own life experience and jump off into some secondary material on older people’s obsession with Hitler, inverted snobbery and the creation of the universe with unionised labour. If that all sounds a bit random then perhaps you have to be there. Webster’s machine-gun delivery seems driven by a roving, curious and analytical brain too interested in the details to worry too much about the big picture. It all just about hangs together and there is a great deal to enjoy along the way. The show really takes off, though, when the Bill Hicks strand leads sideways into an acute and inspired examination of the Elvis Presley mythology. Without giving anything away this section is sublime in its invention and execution and hints at just how good this show could be if the whole hour could reach such heights. Webster then channels something of the spirit of Vic and Bob into a parody of dull celebrity TV but makes it gloriously and hilariously his own. The Bill Hicks through line blossoms at various points in the show, with Webster at one point donning clown gear to see how the addition of funny walks and music might have altered Hicks’ material. It’s the ultimate laugh in the face of an icon and a very striking vision tinged with a darkness that’s very effective. Webster can’t help but spell out for us the message of the show – though it’s clear enough – and the conviction and integrity of that message is never in doubt. Webster’s shouty, rapid-fire delivery, ricocheting references and mixture of broad comedy with a serious message don’t always mix smoothly. There are a number of truly inspired and hilarious moments in the show but also a feeling of well-honed material sometimes being squeezed into gaps in the (very loose) structure. That’s not really too much of a problem, though, as there’s plenty to enjoy, it’s all done with conviction and self-awareness and it advances a serious point whilst delivering plenty of laughs.